I finished this Metro Rings quilt on Saturday. I'm very happy with the way it turned out. 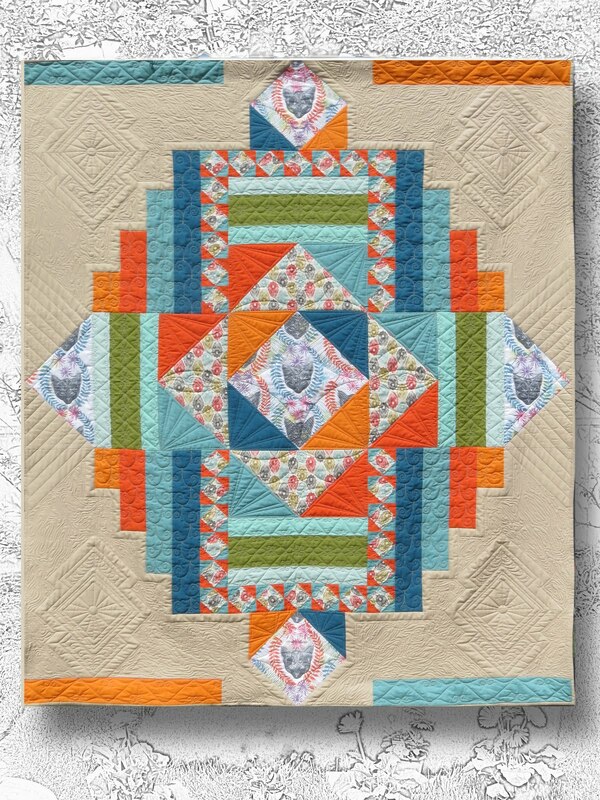 This is a Sew Kind of Wonderful design and I quilted it the same way the designer quilted her sample quilt. I'm excited about it because I have a Metro Rings top made and waiting for quilting that is to go to my son and daughter-in-law when it is finished. I will quilt it the same way because this one turned out so well! Mondrian is now available as a pattern! Contact me directly or Erie Quilt Art, my wholesale distributor. 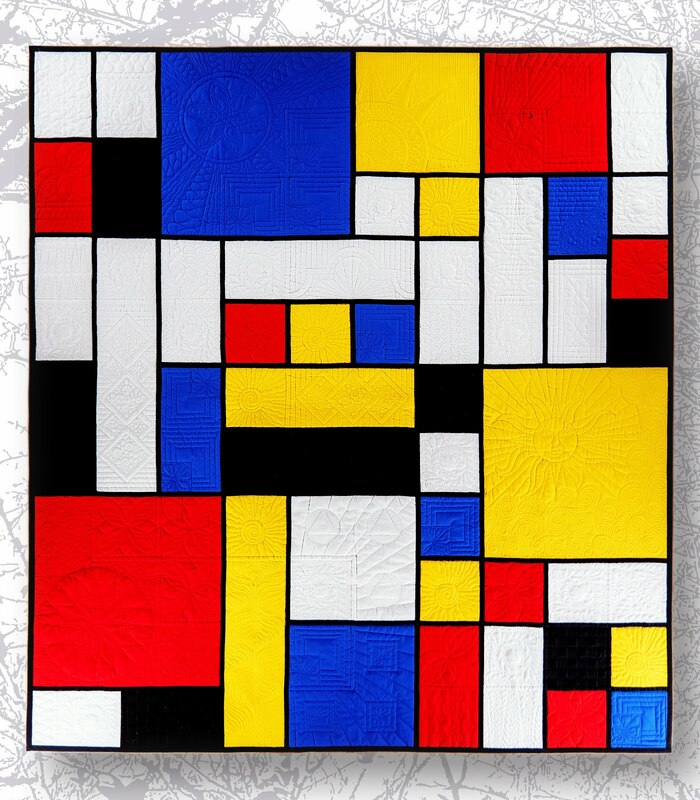 Click on the Mondrian tab or the photo for more info. Galaxy is now available as a PDF pattern! Contact me directly (email below). Click on the Galaxy tab or the photo for more info. 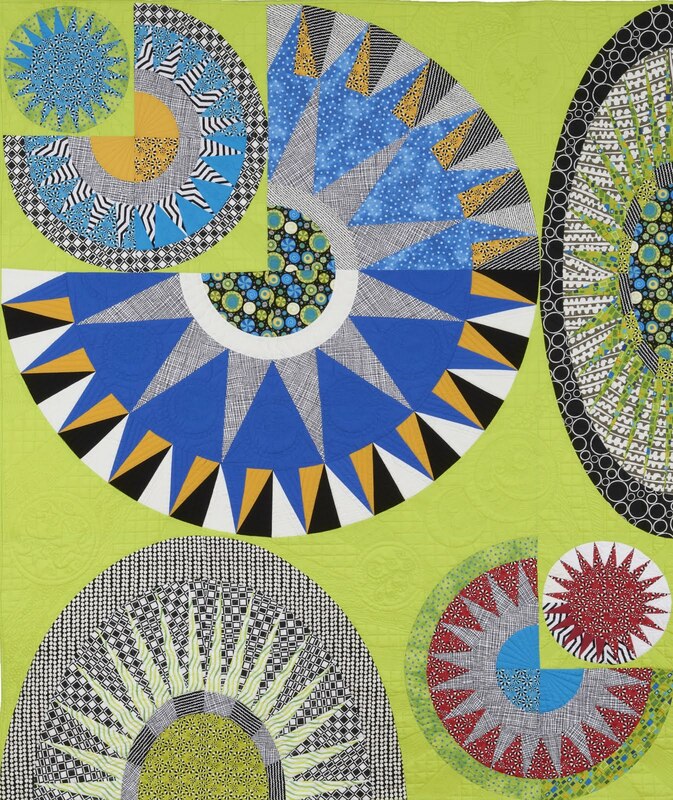 Art Deco is now available as a pattern! Contact me directly or Erie Quilt Art, my wholesale distributor. Click on the Art Deco tab or the photo for more info. My quilt, "What the Hex?" 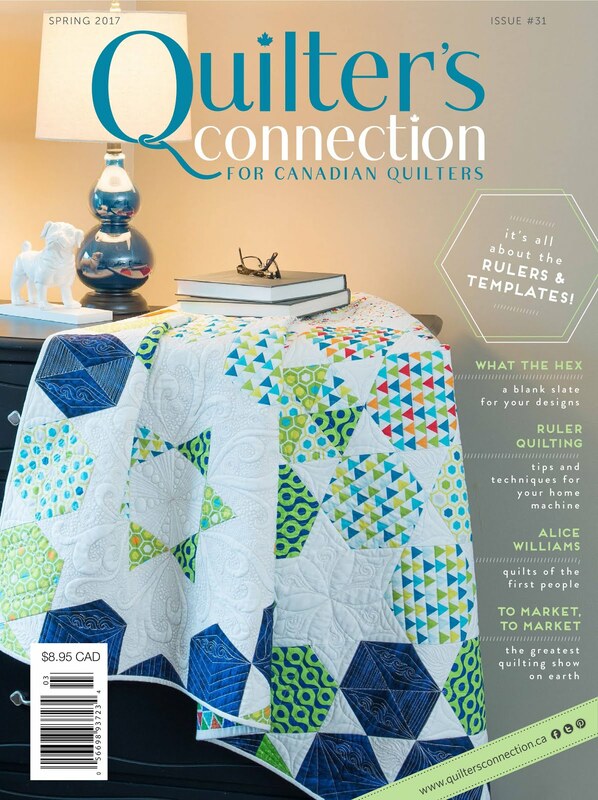 with pattern and quilting tips, will appear in the Spring 2017 issue of Quilter's Connection magazine - available at Chapters (and other places) on Feb 24/17. This is it, on the cover!